Chatillon Test Stand LTCM500 series - C.S.C. Force Measurement, Inc. 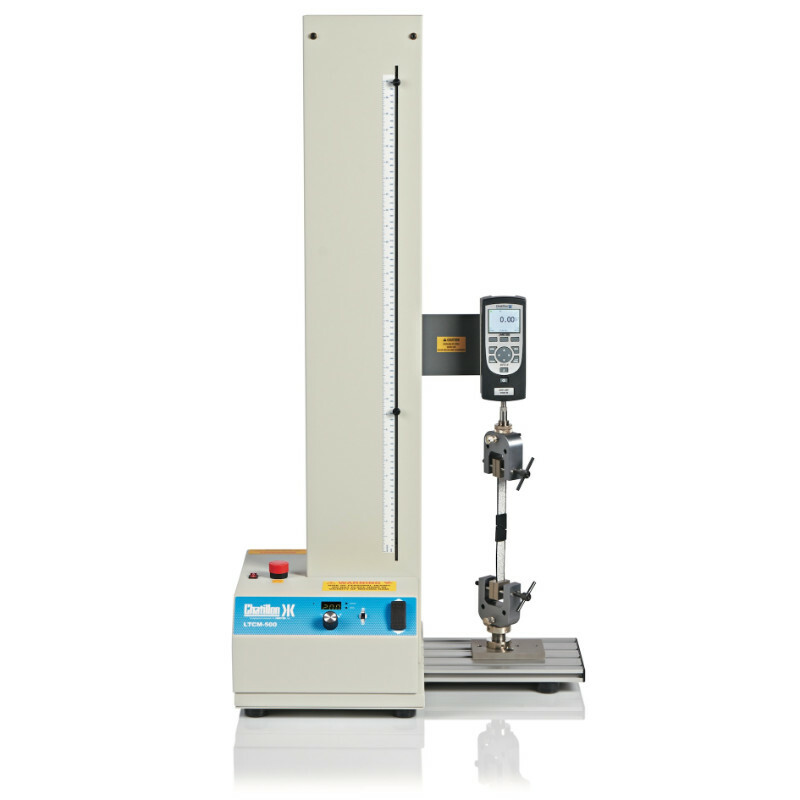 The LTCM Series are low cost, motorized testers optimized for product floor operation. 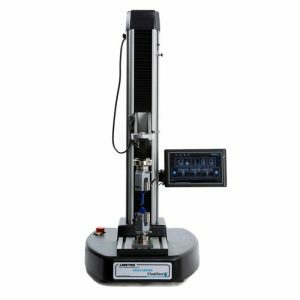 When combined with a digital force gauge, they provide users with an easy-to-use testing system for tensile, compression, peel, and flexural testing applications. 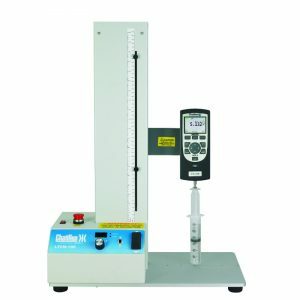 The LTCM Series features a large working area and a 5-inch (130 mm) throat ideal for large sample sizes. The base features pre-drilled holes for fitting fixtures and jigs. Crosshead travel is controlled from a simple console, or by using the optional footswitch controller. A digital display indicates the travel speed during the test. The return speed may be configured to automatically return at maximum speed. Mechanical deflection limits, located on the column face can be used to set travel limit setpoints. The crosshead will stop when either the upper or lower deflection limit is contacted. The LTCM500 Series with a crosshead travel extending to 29 inches (720 mm). Speed may be set from 0.2 to 20 in/min or to 5 to 500 mm/min.